Published 11th April 2019 at 396 × 500 in Cats Looking For Homes. 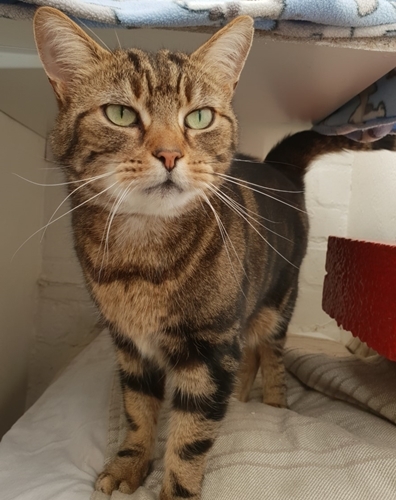 ‘Giz’ 9 year old Female Tabby DSH. Giz came into us as her owner can no longer look after her.